Recently, there was an impressive crowd inside the Greektown Casino-Hotel. The people who came to the facility to gamble were mainly senior citizens and middle-age individuals. A number of the patrons walked with canes or had walkers, and were mainly positioned in front on slot machines while having a cigarette. This scene is pretty common in all of Detroit’s three casinos, especially Greektown. Greektown is ranked third in the city in terms of revenue and size. 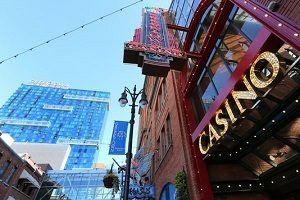 Dan Gilbert, the casino owner, plans to sell Greektown Casino-Hotel in 2019 for $1 billion in a deal that involves Penn National Gaming. Greektown Casino overcame a bankruptcy that occurred from 2008 to 2010. 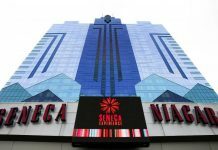 The casino also had to deal with profitability issues, but is finally in the black after being in the red for so long. A recent financial analysis by Moody’s Investors Service projects that Greektown and rivals in the vicinity like MGM Grand Detroit and MotorCity Casino will continue to be lucrative. The lame-duck state legislature recently approved a bill that allows for sports betting. The same bill also authorized e-gaming for things like poker through websites for Detroit’s casinos and 23 tribal casinos in the state of Michigan. Alex Calderone, managing director of Calderone Advisory Group in Birmingham, asserts, “I do think the three Detroit casinos could be looking at a material upside as a result of the legalization of sports betting.” Calderone went on to state, “A lot of it is going to depend on how the state regulates the industry, and how many times are they going to slice that pie,” when it comes to betting profits. The financial health of Detroit’s three casinos, which employ thousands of union workers, is imperative for the financial stability of the city. Detroit is trying to avoid another city-wide bankruptcy, and the casinos can help to accomplish this goal. As of right now, wagering taxes are the third largest stream of income for Detroit. Wagering taxes comes after incomes taxes and state revenue-sharing payments. Wagering taxes also account for 17 percent of the yearly revenue for the city, according to official documents. An analysis conducted by the Free Press indicates all three of the casinos in Detroit are doing more gaming business than 10 years ago. 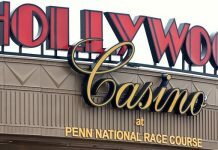 This news comes even as Ohio opened casinos during this period and the thrill of local gambling has waned for some people. The combined revenue for all three of Detroit’s casinos comes to $1.43 billion over the past year. This is five percent more than the same period of time from December 2007 to November 2008. This information comes from an analysis conducted by the Michigan Gaming Control Board. The figure doesn’t include money the casinos made from food and drinks, as well as casino events and hotel stays. The outcome of a long-standing effort by the Sault Ste. Marie Tribe of the Chippewa Indians has been a wild card in the city. The tribe wants to open a small casino near Metro Airport in Huron Township. This establishment could take some business away from the city of Detroit. Currently, the Native American tribe is challenging a ruling made in 2017 by the U.S. Department of Interior. The decision denied the tribe’s request for casino land that would be put into a trust. 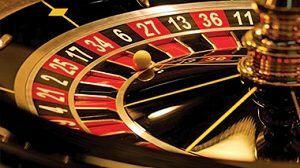 This is a crucial step for opening a casino that is so far from the Sault’s tribal vicinity. The Department of Interior also denied the tribe’s application for casino land in Lansing.